Did You Know That Video Marketing Is The Fastest, Most Effective Way To Reach More Customers & Increase Online Sales? 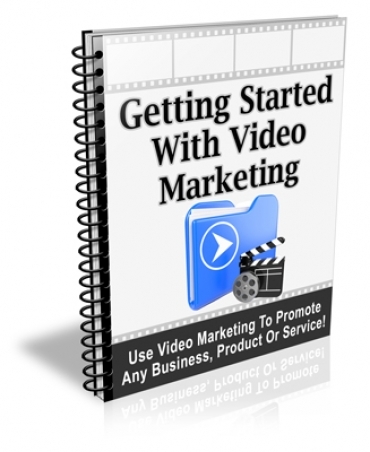 Will Help You Understand How You Can Use Video Marketing For Your Own Business? The Getting Started With Video Marketing Newsletter will provide you with proven, effective information, tips and advice that will help you learn what video marketing is, how it works and what it can do for your business! What video marketing is, what it can do and how you can take full advantage of everything that it has to offer. The big benefits of using video marketing to promote your business, products and services. The differences between video marketing and traditional marketing and why they don't really matter. How to use video marketing to get more traffic to your website fast. Some quick tips for creating a solid video marketing plan and how to get more people to watch and share your videos online. Some of the top reasons why your visitors may not be watching your videos. It may not be what you think!